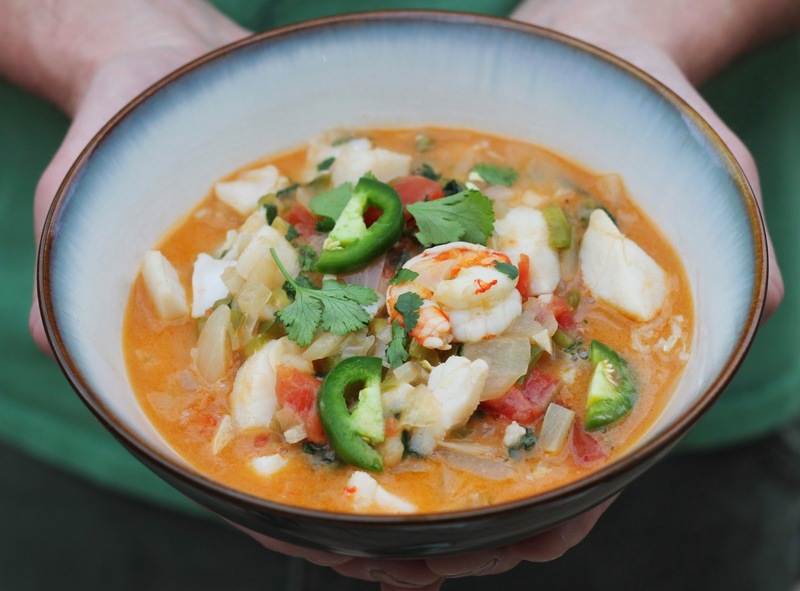 It has been just over a year since the Pike Place Fish cookbook debuted, and even though Anders and I have tried everything in the book (more than once), we still find ourselves pulling it off the shelf and making recipes from it whenever we can. I know we are biased, but we really do love every single recipe in the book, and we are just so proud of it. The spring weather has been a bit fickle this year, and it has turned chilly and rainy this week. We thought the Caribbean stew seemed like the perfect recipe from the book to warm us up on this random Monday night. It definitely hit the spot, and, bonus points, it was ready in 20 minutes. For those who don't have the cookbook, I posted the recipe below. Enjoy! Heat the remaining 1 tablespoon oil in a 3-quart saucepan, over medium-high heat. Add the onion, bell pepper, garlic, and jalapeno. Season with remaining 1 teaspoon salt. Cook and stir for 4 to 5 minutes or until onion is tender but not brown. Add the tomatoes and juice and the coconut milk. Bring to a boil over high heat, then reduce the heat. Simmer, uncovered, for 10 minutes, stirring occasionally. 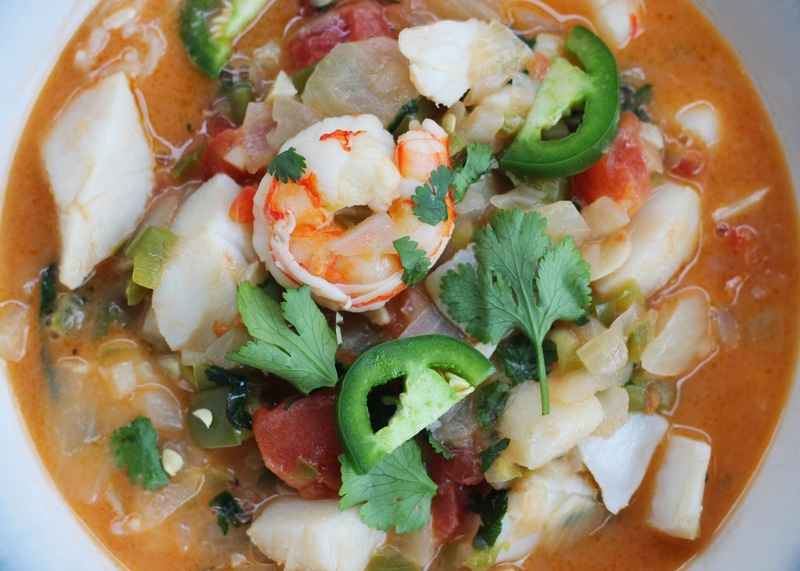 Stir in the shrimp, marinated fish, and cilantro. Return to a simmer and cook, uncovered, for 5 minutes or just until the fish flakes easily with a fork and the shrimp turn opaque. Don't overcook. Taste for salt and adjust seasoning if desired. Ladle the stew into shallow bowls over rice. Sprinkle with cilantro and pass hot pepper sauce, if desired.